The SATELLINE radio modem product group provides an easy and economic way of setting up a local area data communication network. 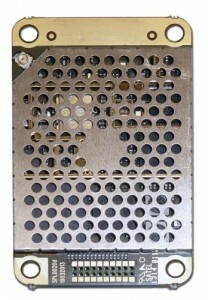 The applications related to both public and private sectors are countless – hence the SATELLINE has become the most widely known of the SATEL radio modems. SATELLINK products makes constructing your wireless communication applications easier than ever. 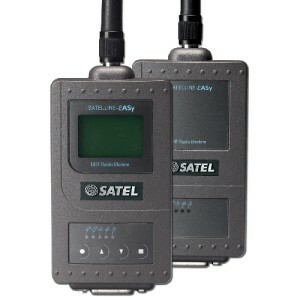 The first product in the SATELLINK line, SATEL I-LINK 100, is designed for transparent transfer of contact information or analogue signals from one location to another together with the SATELLINE radio modems. SATELLINE-EASy is equipped with all necessary features; such as 70 MHz tuning range (403…473 MHz) in one hardware, selectable channel spacing and low power consumption either with +3…+9 Vdc or +6…+30 Vdc voltage level ranges. The configuration of the radio modem can be made with a terminal program or a Configuration Manager, provided by SATEL.SATELLINE-EASy is compatible with widely used SATELLINE-3AS product line and also with SATEL additional equipment e.g. SATELLINK products.SATELLINE-EASy can be equipped with a LCD and push buttons for facilitating the configuring of the radio modem. The SATELLINE-M3-TR3 is used in our Geo product range. 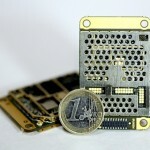 SATELLINE-M3-TR3 is a UHF data transceiver module in a lightweight single PCB structure. It is designed to be integrated into a host device, for instance for transfer of GNSS correction data in a land surveying rover or RTK base station. SATELLINE-M3-TR3 is equipped with all necessary features; such as 70 MHz tuning range (403…473 MHz) in one hardware, selectable channel width, AES128-bit encryption available for secure transmission and low power consumption. 1W output power in conjunction with a very sensitive receiver are the guarantee of a reliable data connection. The configuration of the radio module can be made by using the SATEL SL-commands or SATEL Configuration Manager -software. SATELLINE-M3-TR3 is compatible with widely used SATELLINE-3AS and -EASy radio modems and also with other manufacturers’ radio protocols.